This is the Glitch page, where we have all the glitches you will ever need! From handheld items to changing genders, there’s bound to be one you’ll want to try. The glitches are split into categories for your convenience (Costumes, Eyes and Facial Hair, Handheld Items, Useful Glitches, and Miscellaneous)! The glitch must be given special permission. Notice: If any glitch no longer works, please say so in the comments! 🙂 Thanks! Make sure to visit similar pages, such as Easter Eggs and Cheat Codes. 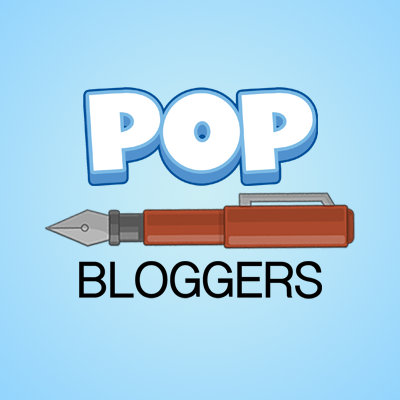 Special thanks to Sam’s Poptropica Cheat Blog (TIB) and Adventure Time Pop (ATP). Other glitches will be given credit. Mr. Yoshi is a robot on Game Show Island, that makes you wear weird costumes in his Game Show. And here’s how to keep those costumes! While in Mr. Yoshi’s Game Show, wearing the costume you want (Baby, Chicken, Bowling Ball), press Ctrl + Shift + S and continue with the Game Show. When you’re done you should be able to keep the costume you chose! This glitch is useful for Poptropicans who used to have a membership and now it’s expired so they can’t access their closet. Enjoy! 1. Friend “0” (no quotations). 2. Go to his closet. 3. He has your outfits! There are two places in the Elf Queen’s Hide-out. They are circled below. Click on the customizer icon, and click on one of the spots! You’ll get a sweet surprise that was never supposed to be there! You’ll get a rare light-up helmet! Back Lot Island glitch: While you’re still acting the scene where you’re The Navigator, do the Ctrl + Shift + S to change your skin and it will let you keep the navigator costume! You will need the ‘8-Bit Birthday Pixel Pig Power’ gold card to be able to perform this glitch. Equip the 8-Bit Birthday Pixel Pig Power gold card from your Inventory. Press spacebar at a distance that lets you turn other Poptropicans into pigs. Go to your inventory and click on the ‘Customize’ button on a card. When customizing the costume, there are two buttons. Click the button with the Poptropican and arrow. Pick the character you turned into a pig to customize them (usually uncustomizable). Go to Spy Island, then go to the Docks, and customize the spy in the trash can. Then you can customize the lid of the trash can! Do the “Navigator” glitch for Back Lot, as seen above. Then, go to your most recent picture in your Photo Album, and customize all of it. You will then have Afro Eyes (AKA amazing eyes that switch eye expressions)! Start the mini-quest of Dr. Hare’s Evil Lair in the Poptropica Store. Go right and jump up to the platform. Jump left and hide behind the carrot crates. Then customize the pointy beard from the minion on the platform above you, when he walks by! Use the Beard Brew on Wild West Island, press Ctrl + Shift + S and go into a new room. Then you should have a nice short beard! Log into your Poptropican account. Type in jcwarw49 or any other ASG username (Avatar Studio Glitch; most of them work). Go to the Poptropica page and click refresh. Without clicking save, go to a SUI (like Home Island, Monster Carnival, etc.). 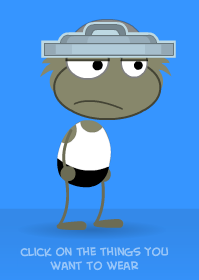 Change something your Poptropican is wearing. Get out of your friends, then go to the map and go to a non-SUI (like Early Poptropica). You will now have the eyes of jcwarw69, but with eyelashes and you’re still a girl! Go to Dr. Hare’s Secret Lab. Go to the guard underneath the one with the pointy hair. You can customize his stubble! Log into your Poptropica account. Refresh Poptropica and you’ll have zombie eyes and sunscreen! Go to someone that has costumes in their closet. Customize a handheld that is available. Click on the available handheld item and nothing else. Press the (X) button on the closet. You can now see anyone’s handheld in your Friends list if you wish. Go to Game Show Island, turn on the fan, press Ctrl + Shift + S, then go into a room and you should be holding the fan! Go to the Great Hall in Bram’s Castle on Vampire’s Curse Island. Click on either the candle or fire iron and press Ctrl + Shift + S (or turn on a Gold Card effect item, like Torch or Electrifier). Then exit the Great Hall and you will have either the candle or fire iron (if you used a Gold Card effect item from the store, turn it off before exiting)! Go to Early Poptropica, Poptropica Towers, put on your jet pack, and go down into The Dark Room. Go down the rope (you’re automatically holding a glowstick), take off your jetpack, go back up, and you’ll have a glow stick! Go to New Jersey on Cryptids Island. Ride the motorcycle and get off at the first place you can. Press Ctrl + Shift + S and ride back to the start. Now you should have the lantern! Finish your ninja training on Red Dragon Island. While holding your ninja item of choice (Bo staff, Shuriken, Smoke Bomb), press Ctrl + Shift + S, and you should be able to keep the ninja item you chose! Go into Dr. Hare’s dream on Super Villain Island, press Ctrl + Shift + S while holding the pickaxe, wake up, and you should still have the pickaxe! When on Mystery Train and about to pour the cup of prune juice for Tesla, change your hair (Ctrl + Shift + H). Even though you put it back on the shelf in the game, when you walk out of the room you will be holding a pitcher of milk! Go to the Vikings on Time Tangled Island. Put on the hang glider, go into the cave, take off the hang glider, exit the cave and you should have a torch! Open Doctor Hare’s Secret Lab (while on Super Power Island). You can fly and easily collect all three keycards! Log into a boy Poptropica account. Type in either rare9 or metalgirl. Your boy will now look exactly like rare9 or metalgirl and will be a girl now! Log into a girl Poptropica account. Open a new tab and go to the Avatar Studio. Type in the username Kaithsammut1,5, Keithsammut8, or Keithsammut19. Go to Poptropica page and refresh the page. If something comes up, click continue. First, buy either the Fierce Lion costume or the Baseball Fielder costume. Equip the baseball or mouse from either costume, then go to an SUI island. Use the ability by pressing spacebar just before running off a building and you will fly until the ability is over. To fly upward, jump in a way where you will spin in the air on an SUI island, then press spacebar rapidly after you fall on the ground. It should look like you are somersaulting. Eventually, you will fly up fast, and you will stay up there until you stop pressing spacebar. If you press reload before the game on Reality T.V., or in between the games in Reality T.V., then you will go straight away to the voting and will not have to play the games and challenges. After you finish the island, Twisted Thicket, keep the amulet on. Restart the island and you get to use the amulet throughout the island! This only works on non-updated islands. To zoom in, scroll with your mouse and push Ctrl at the same time. It helps you see farther than normal! Also, you can scroll out (for those computers that have a wide screen). You could also push Ctrl and the + sign to zoom in or the Ctrl and – sign to zoom out. You need a sibling or a friend with you. You and the other person log on to the same user (on different computers) and then go to the same island (such as Home Island) and both go to the Common Room at the same time. You can chat, battle, and friend your exact clone! Once you or the other one exits the game, you will no longer have the clone. On Spy Island, once you have gotten the Invisible Suit, go to the rooftops with the suit on. Get close to the B.A.D agent once he has stopped, without overlapping. Click on him and the Friend, Battle, and Chat bubbles will pop up. Click on a friend and you will friend someone called “Maroon Rider.” It says she has no photos, but she actually has all of your photos. Is there a glitch username that allows a male character to remain male in the overworld but register as female in the Costume Shop? 1) You know the person who you have to beat to get the Omegon card? Well, once you have the “right deck to beat her”, then play the card game against her. 2) If you win, then when you’re holding the phone in your hand, about to take a picture, log out or turn the IPad or tablet or phone or whatever off. 3) Then turn it on and log back in and you should have the phone in your hand. I’ve tried using the control+blank, but does it only work onthe poptropica worlds? Hey, Silver Wolf. I look like jcwarw49 and I don’t know how. Do you? It made my character a boy. The glitch worked but, then I tried it again and it made me look like him. In Wild West I’m stuck on my horse and there is no dismount option. Not sure if it is a glitch or something else. If I restart the map then I’m still stuck on the horse. Send help!!! This may sound silly, but have you tried logging out yet? That’s odd that it doesn’t even change when you restart the island. I went on my old account an everything was how i left it, then the next day I logged on again and my character turned into a girl avatar and I don’t know how to fix it. Have you tried our “Changing Gender” glitch under “Useful Glitches”? Yes, I have tried. Nothing came up like it said in the changing gender cheat. And my character is still a girl. Also is it supposed to log me out when I refresh the page for the change? Well, there is one more way: ask the Creators! If you go to this link and click “Report a Bug,” you can tell them what happened to you and they’ll fix it: https://www.poptropica.com/contact/contact-players.html . You may have accidentally pressed Ctrl + Shift + R, which randomized your Poptropican character. Sadly, there is nothing we can do! Hey I have a problem/glitch on the Monster Carnival, when the guy guesses my weight correctly and I go to the Apothecary shop, the guy just says “Would you be needing anything else today?” and it won’t let me get the heavy material needed. Try checking out our Monster Carnival Island guide for instructions on what to do! Hi, I’m having a problem. When ever I walk to a new page, it places me in the centre, and not the side where I’m supposed to enter. Usually it’s not a problem. But for islands like astro-knights, to get the board thingy, you have to enter through the top of the building, but when I try to enter from there, it places me at the entrance from the front door. Another example is the doubloon in Skullduggery Island. To get the doubloon at the very beginning of the island you have to go under the bridge to the next page, still under the bridge. But instead it transports me back to the blimp. I can’t continue these islands without those items. Do you think you could help??? thanks. Hmm…I’ve never heard if that problem before. Maybe try using another browser? I have the same problem as well! I tried using several browsers and it’s still the same every time. Can someone help me i was playing mythology island and i teleported using the mirror but i came out the other side a girl i can’t turn back into a boy PLEASE HELP MEH! Under “Useful Glitches” you can find “Changing Gender.” That should solve your problem! Check out our Mythology Island guide for help. Save your outfit to your closet and do Ctrl/Command, Shift, and R all at the same time. Keep doing it till you turn into a boy. Hello I’m kinda finding trouble with the gender swap thingy… Any help? Is there something specific about it that isn’t working? This glitch is useful for poptropicans who used to have membership for a closet, and now expired. Enjoy! That’s awesome! I’m adding it now. Notice: When you customize, you can’t get the rare, uncustomizable parts, but is still good when you customized something but you don’t know where it’s from. 1) Go to the ad transporter and do the Puss in Boots Quest. 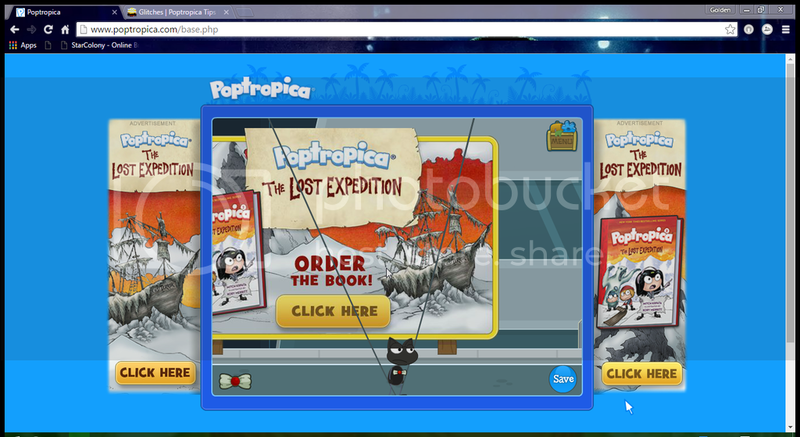 2) On your Poptropica Browser(the one that is not the ad transporter)and make sure you are on a non SUI island. 4) Get the magic beans from the Puss in Boots prize. 5) Once you have the beans in your hand, press space repeatedly. 6) Stand in a certain area, and you lose your outlines and part of your shirt(depending where you stand, you lose outlines and shirt a little or lot. P.S. Friend anyone by clicking the + icon, type a username, and try to customize them, then they’ll be a skeleton!!! I made a really cool glitch!!! 3) Use the “I see skeletons” power on the skeleton store card, or else purchase. 5) Attempt to customize them, and there is something truly weird, weird. I hope you put this up and enjoy!!! I see! It is pretty spooky. Post a picture!! Plez!!! I’miss on a ban from Poptropica and it’s a very long one. (●-●) Please don’the make my curiosity kill a cat or something! I have another glitch! It is for members or you must have the Mystery Train Inspector. Put the magnifying glass on, then rapidly keep on pressing space. There is an eye, though it’s not at your head yet! Cool? P.S. Your friend or sibling has to know how to play Poptropica, or else guide him/her. I made a glitch!!! You need a sibling or a friend with you, though. It is not a bad glitch. You and the other person log on to the same user(on different computers) and then be on the same island(I prefer Home Island) and you and the other one go to the common room at the same time. You can chat, battle, and friend your exact clone!!! Once you or the other one exits, you don’t have a clone until you do the steps. If it doesn’t work, then tell me. That’s a pretty cool glitch! Sadly, it doesn’t quite meet the requirements for the Glitch page. Either way, your comment will still be here for all Poptropicans to try themselves! Try looking at our walkthrough for help. I have something fun. You must complete Reality TV Island. Go on the blades of the helicopter. You must have the soda from shrink shot. You get it and put it both side and lots of them. Click on them a lot of times, go on the roof where the helicopter is, then it is a soda shower!!! On vampire’s curse every time the vampire jumps out of the glass window to chase katya and I, I fall off, but I’m not even moving because there is a loading sign. I have a glitch, though I don’t know exactly how it happened. 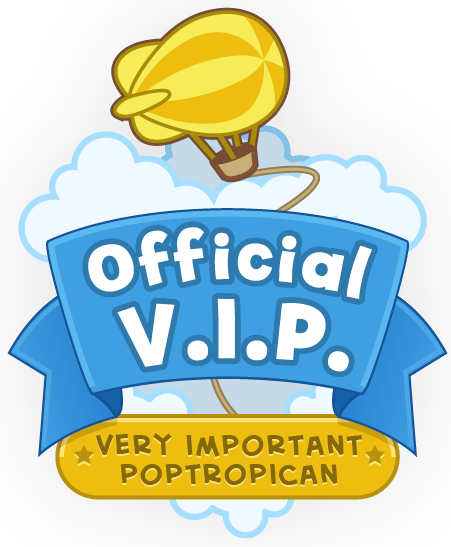 I went to poptropicon island started costumising on characters walking past clicked on the person with the extra ticket and suddenly I had white stars around me. I tried to get rid of it by going on spy island and every time I move gold stars appear around instead and I can’t get rid of them do you know what I should do? Hmm…that is an odd problem. You can try customizing The Chameleon Suit on Spy Island since it takes up your whole body, but otherwise, you may want to contact The Creators. My Glitch: Get the Silly Streams at store or anything like that, then jump with flip the press Space, then you will be doing cartweels! It’s related to the Flying on SUI’s glitch, except you jump diagnally. Ummm… on your first part of this post. Where was that? I’m kinda knew at this, and need help. The factory man glitch. what island?? ?